Spring is coming, which means that the days are stretching longer and the weather is slowly getting warmer. 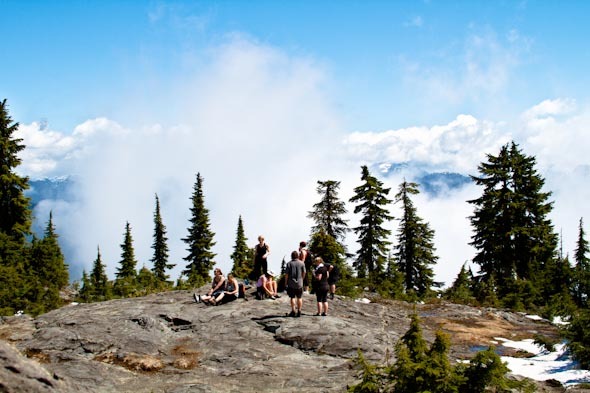 This season provides the perfect time to spend weekends outdoor, exploring the beautiful natural landscapes of Vancouver through hiking. Here are a few hikes and trails that we recommend as the most suitable for this time of year! Hollyburn Mountain is located in West Vancouver on Cypress Mountain with views of Vancouver, the Burrard Inlet and even the Lions (the twin peaks along the North Shore Mountains). Not only does this hike offer a great combination of breathtaking views, it is also a convenient commute from the city. The average time for completing this 7 kilometer hike both ways is 3.5 hours. However, if you want to enjoy its beautiful views leisurely, set aside at least 4 hours of your day. Hollyburn Mountain begins from the cross-country skiing area at the Cypress Mountain Ski Resort. If you are driving from Vancouver it should take you 45 minutes get to the parking lot. Hiking Holyburn Mountain is completely free – including parking! Another year-round hike in the North Shore is the Quarry Rock Hike in Deep Cove. The total distance for the round trip is 3.8km, which makes this the perfect activity for families that want to spend a day outdoors. Similar to the hike on Hollyburn Mountain, Quarry Rock has marked sections that are easy to climb. 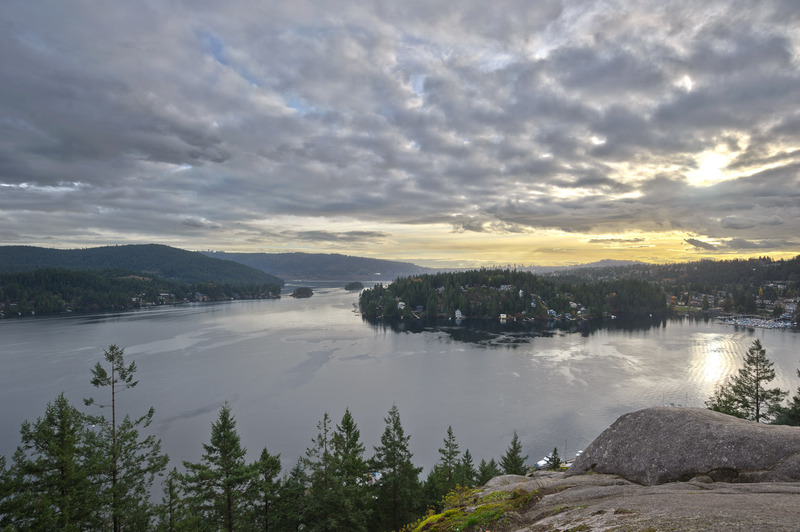 It takes about an hour to reach the top of Quarry Rock and from there you are greeted with a stunning view of the Indian Arm, Belcarra, North Burnaby and North Vancouver. How to get there? You can either drive or take a public transportation. Estimated driving time from Vancouver is less than 30 minutes. Head eastbound towards Highway 1, then cross Iron Workers Memorial Bridge. Turn Right onto Mount Seymour Parkway, after 5 km turn to Deep Cove Road. 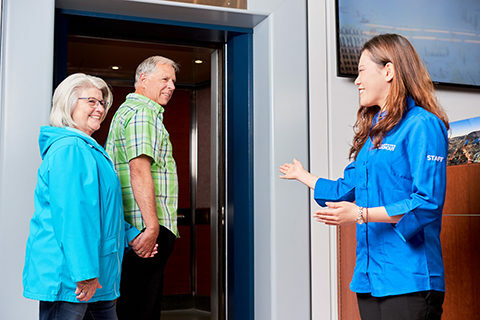 If you are taking public transportation from downtown Vancouver the easiest way is to take the sea bus at Waterfront Station across to North Vancouver. At Lonsdale Quay transfer to bus 239 Capilano University and at Phibbs Exchange change to bus 212 Deep Cove. 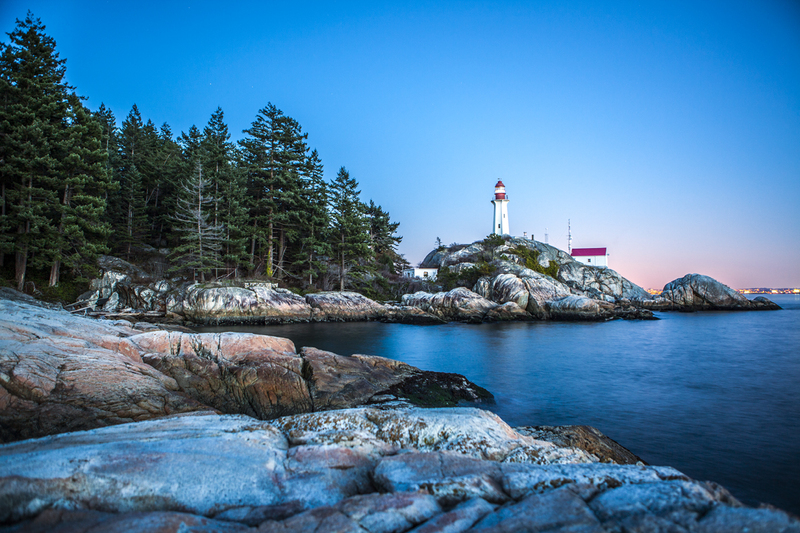 Lighthouse Park is a small piece of heaven hidden in West Vancouver. This hike takes you through a Douglas-fir and Western Red Cedar forest, ending right next to the ocean. There is no set route for this hike; feel free to choose from a variety of trails that cut through the forest and end by the shore. The trek through Lighthouse Park takes less than 2 hours to complete (about 6 kilometers round trip). This beautiful park is a perfect example of British Columbia’s jaw-dropping West Coast Temperate Rainforest. Also, the lighthouse that you see at the end of the trail was built in 1912 and has been since then a great place to take pictures! Lighthouse Park is quite easy to get to by car or public transit. If you drive from downtown Vancouver, it will take roughly 40 minutes. You can also take bus number 250 Horseshoe Bay departing from West Georgia Street. 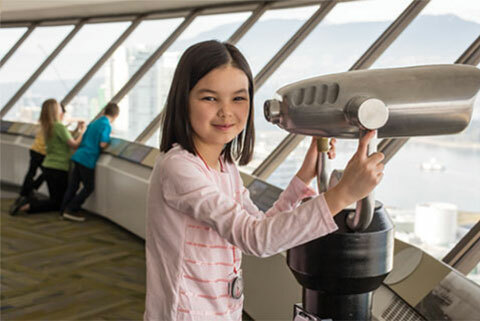 The Vancouver Lookout opened in August of 1977, and since then, the tower has seen many visitors come and go, as well as countless days and nights. The view from 553 feet (or 168 meters) above the ground is spectacular and breathtaking no matter the time of day or season, but there are some wonderful points of interest worth noting. 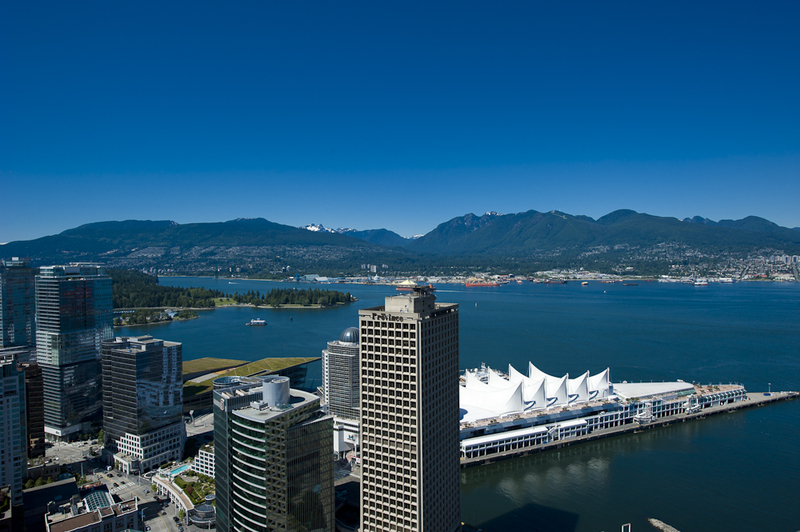 Many guests have asked about whether the view from the Vancouver Lookout is more captivating in the morning light, or once the sun goes down. No need to look any further, for we are going to compare and contrast the two views right here and right now! In the bright light of day, you can see out for miles and miles. 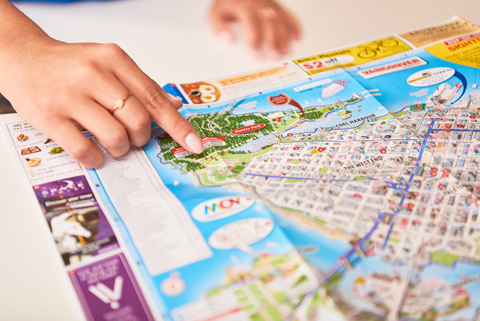 The enthusiastic tour guides are able to point out fascinating landmarks and buildings that cannot be easily seen without the clarity of daytime. You can see all the way to Burnaby with its tall buildings sticking out into the horizon, and even Mount Baker all the way in Washington state if it’s an especially clear day! Stanley Park – The park is easy to catch with its many trees shrouding the entire piece of land! 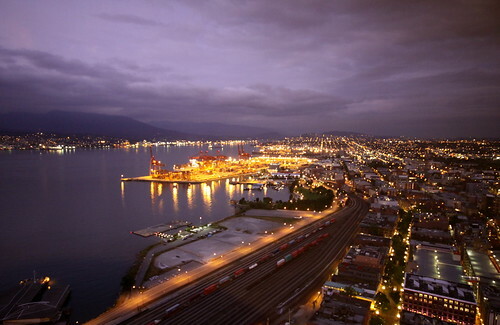 It sticks out into the Burrard Inlet, and is a natural retreat away from the bustling downtown core. Sun Tower – The mint green colored roof of the Sun Tower will catch your eye, and having been home to the Vancouver Sun newspaper, the architecture is definitely worth writing home about. The Mountains – We are surrounded by beautiful mountains here, and three distinct ones pop out in the light of day. Grouse Mountain, Mount Cypress, and Mount Seymour are visible across the Burrard Inlet, and make for beautiful photographs. Rogers Arena – The arena where the famed Canucks hockey team plays is almost directly in front of you when you enter the Lookout. Just take your eye to the smaller, dark dome to the left of the larger white one and you’ll be staring straight at the arena, where concerts and exhibitions are often held at when games are not being played! The city seems to come alive at night, with all the lights from the buildings, cars, and skyscrapers bursting through the darkness. In downtown Vancouver, the bright lights mimic those of New York City, although with a quieter charm. With beautiful views of lit up bridges, streetlights and glowing windows from across the entire city, the night view from the Lookout is sure to steal your heart away. Gastown – The oldest part of Vancouver is also one of the most charming places. At night, the rounded street lamps of Gastown light up the entire street, and is reminiscent of a little village. With souvenir shops and the most low lit pubs around, Gastown is the perfect place to enjoy a pint in. BC Stadium – The big white dome is hard to miss in the daytime, and even harder to miss at night. With the world’s largest retractable roof and the ability to light up in animated color at night, the stadium is one of the most beautiful sights to behold after the sun goes down. Lions Gate Bridge – The bridge crosses from the city of Vancouver to North Vancouver and West Vancouver on the other side of the Burrard Inlet. The suspension bridge was designed by the same architect that designed the Golden Gate bridge in New York City. Its twinkling lights reflected in the water below will make for a beautiful sight. Canada Place – Built in 1986, this building is reminiscent of a sailing ship, for the theme of the World’s Fair that year was transportation. The structure itself lights up in beautiful colours at night and truly looks like a ship sailing out to sea! Now that you have a good idea of the structures and buildings that stand out in the day and night, here’s the kicker: your ticket for the Vancouver Lookout is valid ALL DAY so you can take in the mesmerizing sights and enjoy a tour in the morning, and come back at night for the breathtaking view of the city lights. If Vancouver winters are known for one thing, it must be the rain. Sure, we’ve got mountains that offer great skiing and winter hiking trails amid lush greenery, but for most, the winters in Vancouver can seem wet, foggy and interminable. 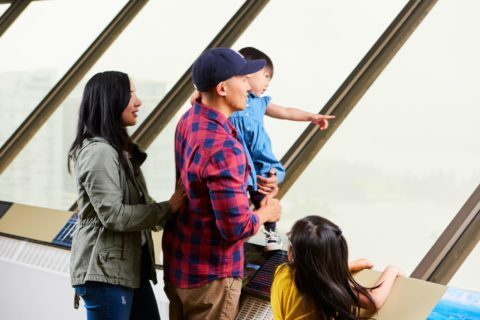 While it’s easy to stay in on those rainy days, Vancouver offers many great indoor attractions that will keep you warm, dry and entertained. Here is a list of the top museums and attractions to visit this March in Vancouver while you patiently wait for spring to come out in full bloom. Science World, a legacy of Expo ’86, is a well-known family favourite located in Vancouver’s False Creek area. Science World offers interactive displays and exhibits to educate and inspire visitors. During your visit, you can learn about sustainable energy consumption and even have your mind tricked by optical illusions. Watch the new OMNIMAX film, America Wild: National Parks Adventure, displayed in the geodesic dome. As well, don’t forget to visit the feature exhibition, Body Worlds: Animal Inside Out. This exhibition features Dr. Gunther von Hagens’ plastination technique on over 100 specimens, allowing you to see the anatomy and physiology of animals in a way you never thought possible. Come see why people around the world flock to Body Worlds’ exhibits. But be quick – Animal Inside Out ends its Vancouver run on March 28th. The Vancouver Art Gallery is Western Canada’s largest art institution and is one of Vancouver’s best known museums. To shake things up in 2016, they are putting on their biggest exhibition yet: a new, groundbreaking modern art exhibit three years in the making that will take over all four floors of the gallery. Until June 12th, MashUp: The Birth of Modern Culture, explores the evolution of visual culture through various media during the last one hundred years. From Pablo Picasso and the birth of modern art to digital art and production of the twenty-first century, this highly talked-about exhibit is sure to have something to please – or intrigue – everyone. Nestled within beautiful Stanley Park, the Vancouver Aquarium is one of Vancouver’s top attractions. With plenty of indoor galleries and covered outdoor viewing, the Aquarium is guaranteed to give you a fun, informative and dry day – but make sure to watch out for the splash zone near the belugas! A visit provides a great chance to discover the aquatic ecosystems of British Columbia, learn about the biology and care of their marine mammals, and even touch a few marine creatures. Meet Chester, the false killer whale that was rescued as a baby and learn about the ongoing research in Canada’s Arctic region. In addition, opening March 10th is the new and exciting feature exhibition, Discover Rays. This will highlight two types of rays in a brand-new touch pool. You will learn all about their biology, threats they are facing, and how they are cared for by Aquarium staff. The Richmond Olympic Experience, or ROX, is a new attraction in the Greater Vancouver area located at the Richmond Oval. Built for the Vancouver 2010 Winter Olympics, the ROX opened last November and is also the first of the International Olympic Committee’s Olympic Museums to open in North America. This state-of-the-art facility will immerse you in a complete Olympic experience. 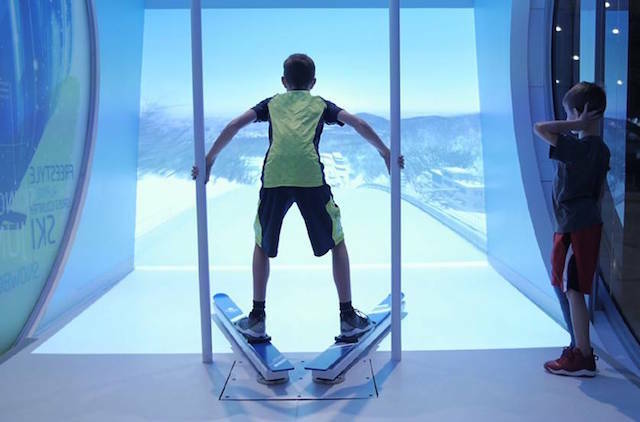 The sport simulators will give you the impression of racing down a bobsleigh track or ski jumping at over 100km/h! Interactive challenges will also give you a chance to test your athletic skills and compare yourself to real Olympic athletes. The ROX also showcases moments and memorabilia of past Olympics and Canadian Olympians. For adults and children alike, this may be your best chance at bringing out your inner Olympian! The Royal BC Museum is located in Victoria, British Columbia’s capital city. Situated by the Inner Harbour between the equally impressive Parliament Buildings and the Empress Hotel, the Royal BC Museum is one of Canada’s best cultural museums, collections and archives. The Royal BC Museum boasts impressive natural history and anthropology exhibits such as: the First People’s Gallery and The Wildlife Photographer of the Year showcase, which runs until April 4th. The Wildlife Photographer of the Year, produced by the Natural History Museum in London, is a showcase and competition of the best nature photographs from around the world. This past year’s overall competition was won by Canadian photographer, Don Gutoski! Moreover, on display until April 28th in the lobby of the museum is the Rolls Royce that John Lennon owned and famously visited Buckingham Palace in before having it painted yellow in a gypsy style. Although it’s a rare occasion to see it on display, the car was donated to the province and has been in the museum collections for over twenty years!